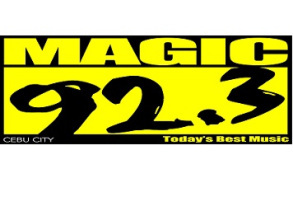 DYBN (92.3 FM), marked as Magic 92.3, is a FM radio station claimed by Quest Broadcasting Incorporated. The studio is situated at BSP Camp, Capitol Hills, Lahug, Cebu City. The station show from 6AM - 1AM the following day from Mondays to Thursday, from 6AM - 2AM the following day on Saturdays and Fridays, and from 6AM - 12MN on Sundays. Previous Killerbee 92.3 Cebu logo from 1992 to March 27, 2013. The station was once in the past known as Killerbee 92.3 from its initiation in 1992 until March 27, 2013. This station, alongside the other Killerbee stations, were relaunched under the Magic moniker (embraced from its guardian station) by April 29, 2013.